She was referring to the sparkly blue pipe cleaners she was twisting into the shape of a baby bird for the crow puppet. Soon, three other children joined her in building a nest for Crow and the sparkly babies. Afterwards they flew the crows around the room and then return to nest building. Story-making is what I call this version of improvisational storytelling. 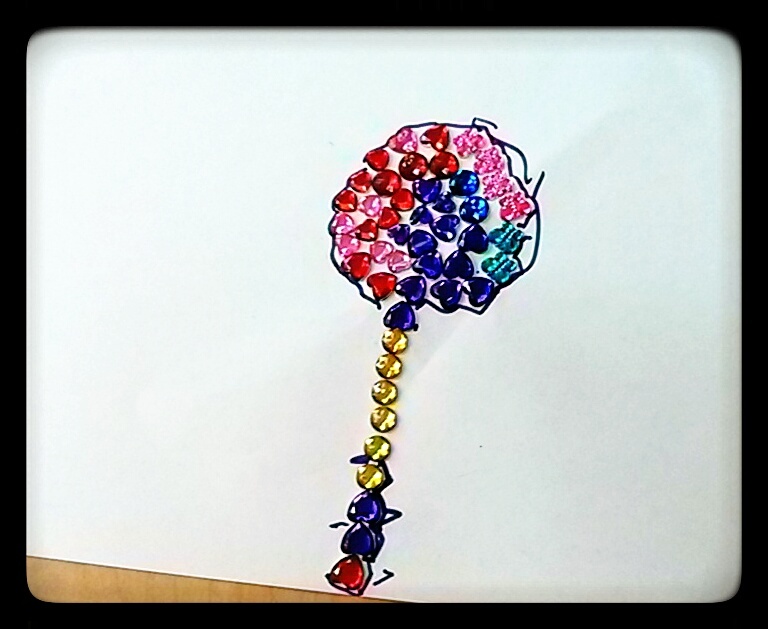 They may begin with a puppet or start with a prop, as illustrated by the “sparkly babies.” The making of the prop opens the creative door for puppet improvisation. And the improvisation produces the need for more props to add to the play. In 1996, story-making began as a practice to encourage cooperative play. The children used puppets, props and improvisations. 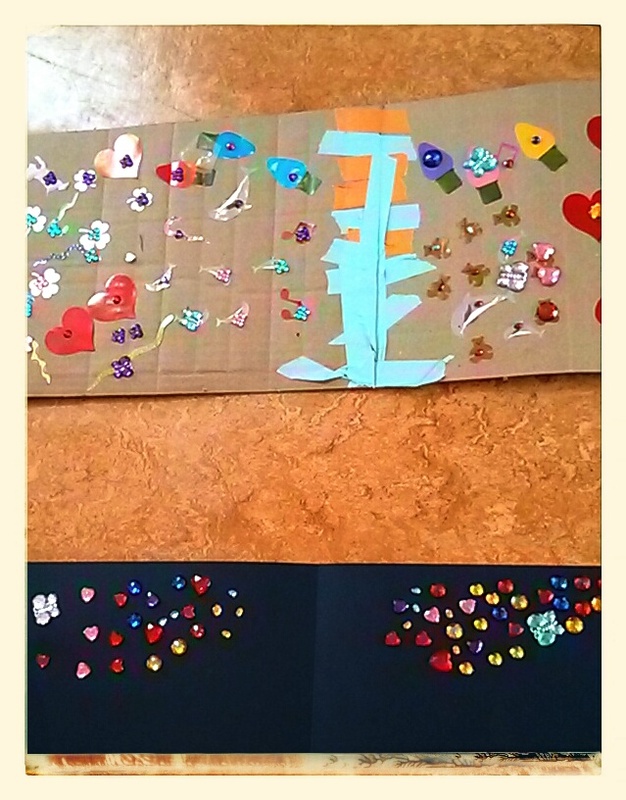 It was also used to develop oral language and storytelling with small groups of children. 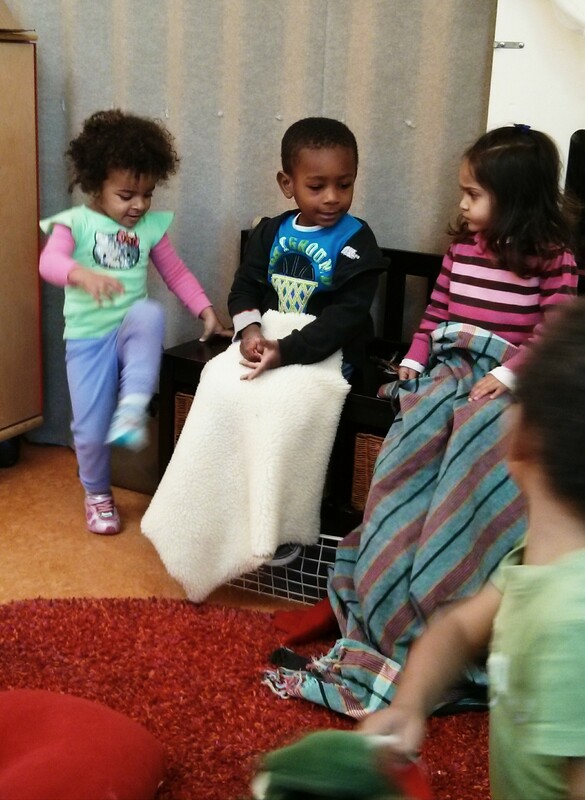 Decades later, small groups of children still enjoy adding this form of storytelling to their play. 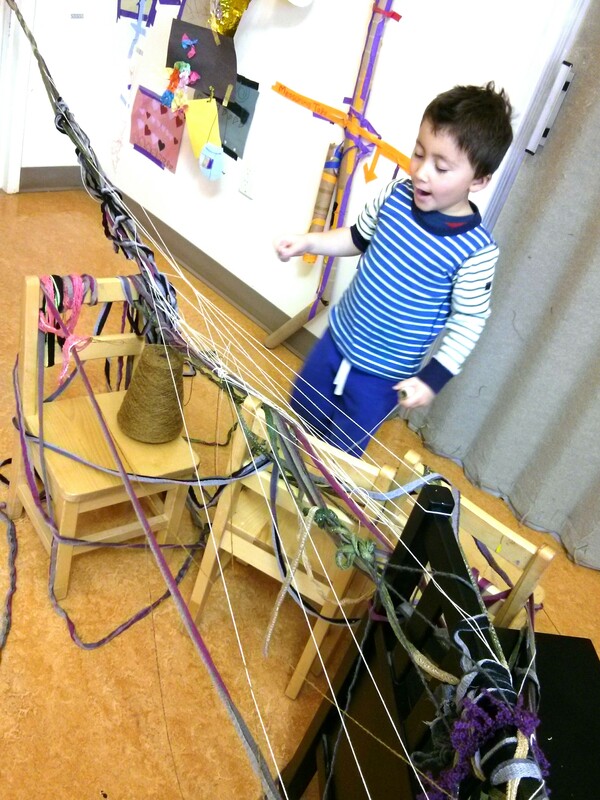 The meaningful play initiated by this three year old continued beyond the classroom. She made an owl with her mom at her older sister’s school. She brought it to school, days later, so that “Owl “could be friends with “Crow.” Friendship is a very important theme with preschoolers. 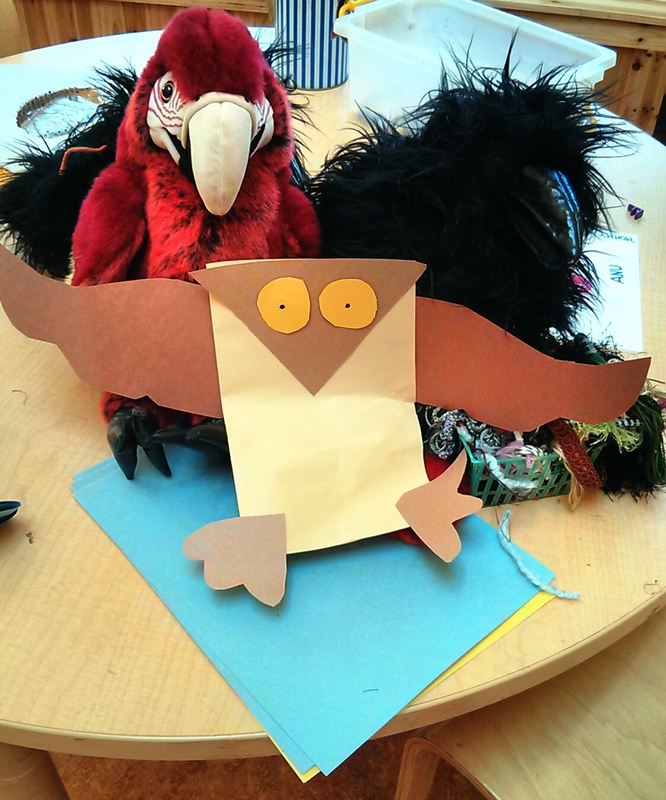 Not only did the children play with her owl but, they were inspired to make puppets of their own. 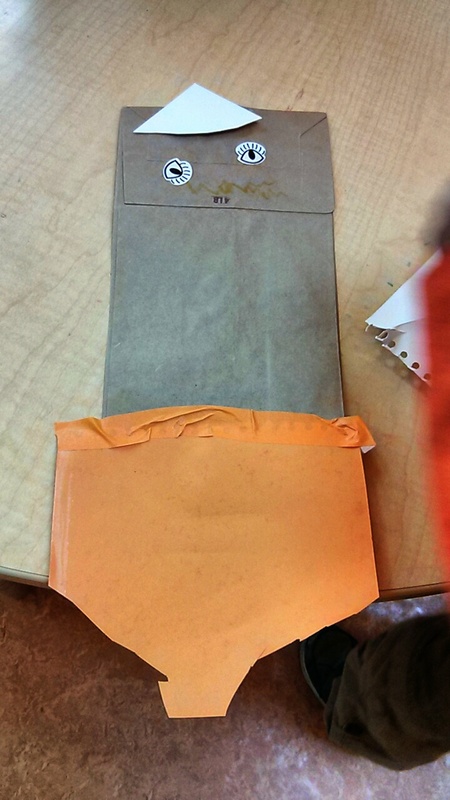 “Where’s his smile?” a child asked, studying her paper bag puppet. She picked up an oil pastel and drew a line under the sticky eyes she’d placed on the brown lunch bag. “Oh, that’s a sad face,” she frowned at the curved line she had drawn. She then placed the bag puppet on her hand and flew it over to the table. Taking it off, she was delighted to see that it remained vertical. “I didn’t know a paper owl could stand up!” she exclaimed gleefully. 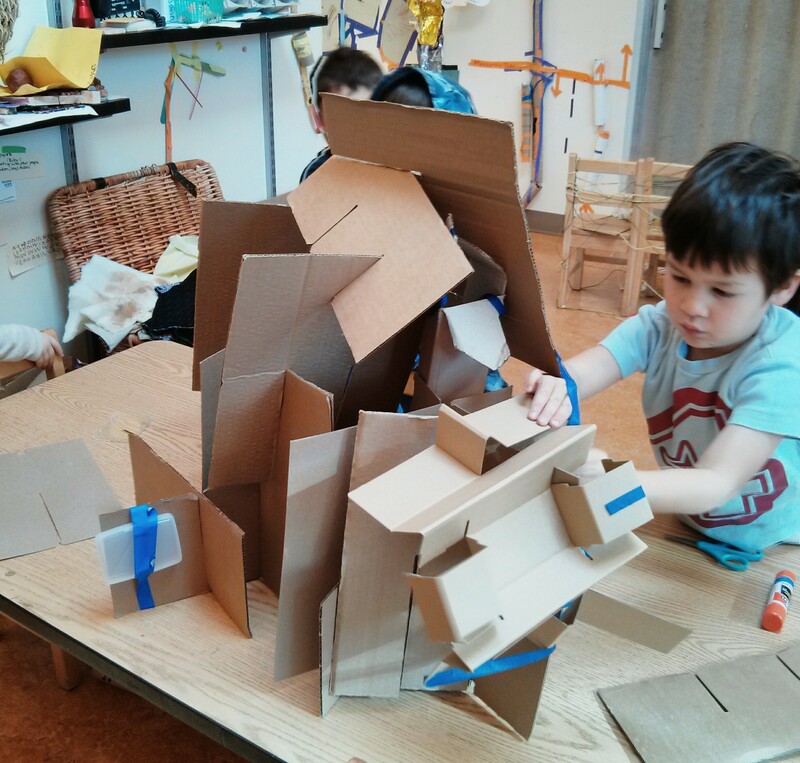 These improvisational stories allow the youngest children to play out their first flights of independence from their own “nests” via the preschool experience. Stories are not only important teachers, they inform us of what the children themselves find most meaningful including making friends and inviting them home for play dates. 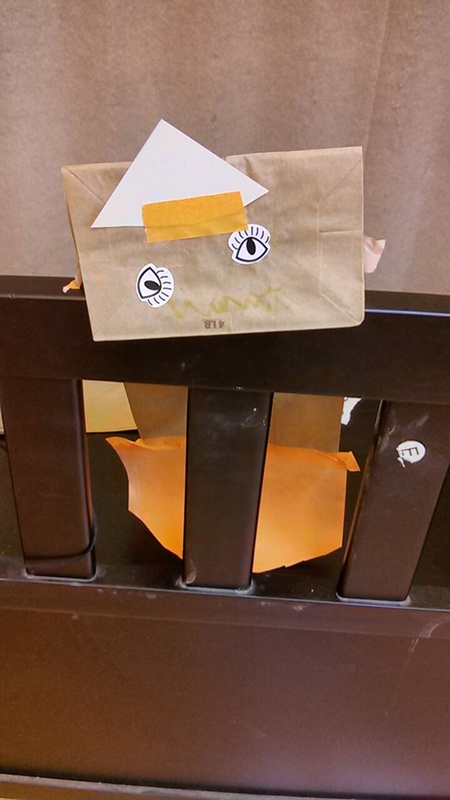 Having been a witness and facilitator of the children’s developmentally appropriate conflict, teachers and parents can show or tell what happened between the children using puppets. When you come to places of choice, ask the children for suggestions. Once you’ve gathered some of the children’s own ideas and contributed some wise ones of your own, it’s the children’s turn to use the puppets. Being creative yourself and knowing your children, you will think of many different ways to get started. Once the children are engaged, you become the observer, facilitating when necessary. 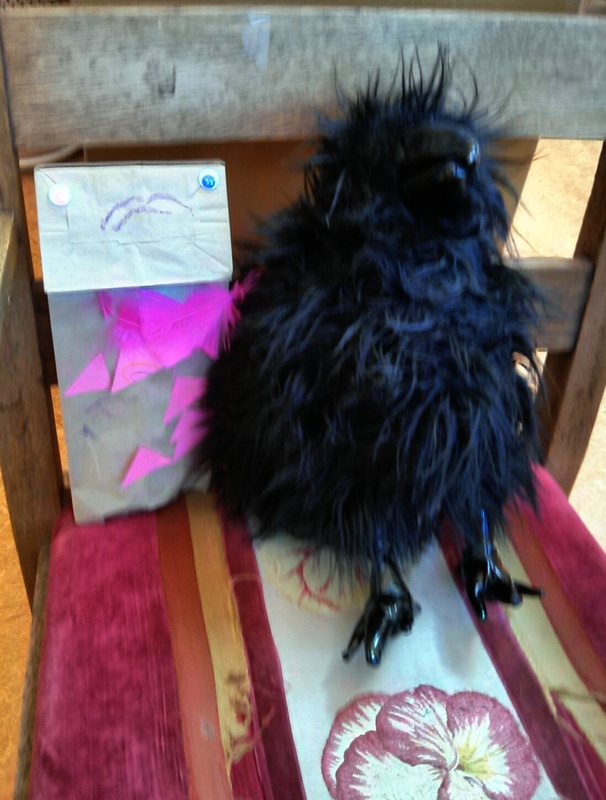 Art-Making: Depending on the kind of puppets used, you could suggest that the children first make something for the puppets, as the 3 year old began by making nests and sparkly babies for Crow. Back to puppet play: Sometimes the children will do this naturally. Otherwise, you can facilitate by interviewing a puppet. Your scaffolding brings out both the character of the puppet and moves the story line along. 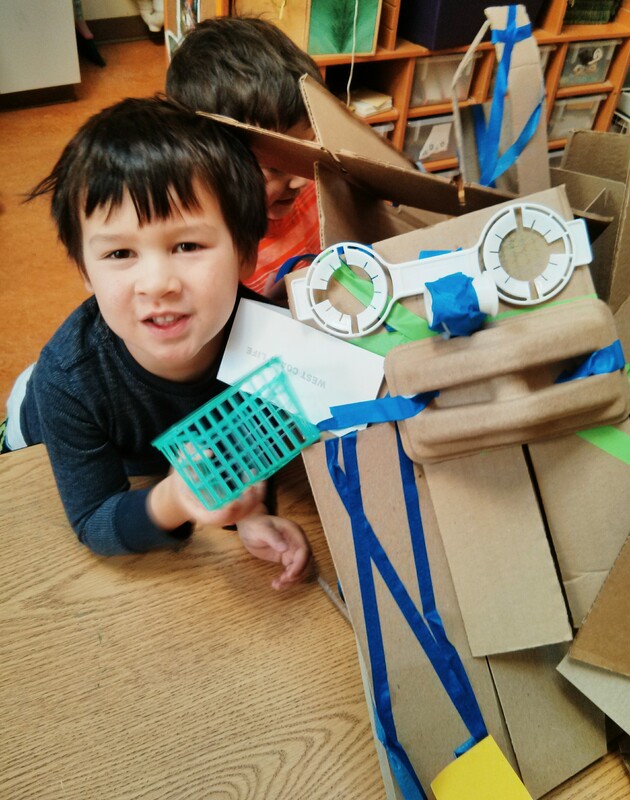 There are no expectations for a complete story in collaborative puppet play. 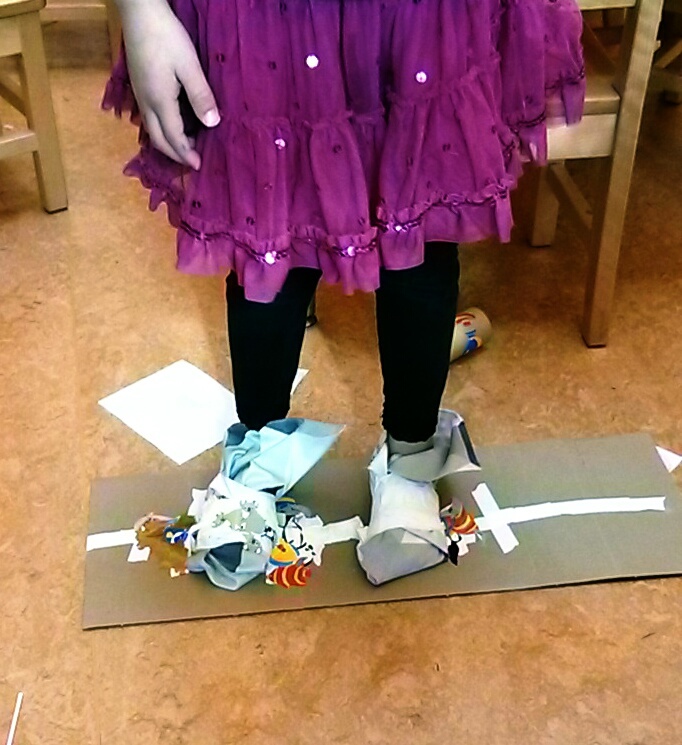 Children combine improvisations or story pieces with art-making and decide when the activity is complete. Teaching moments will likely occur. Feel free to insert yourself into the story if there’s an important point to make. 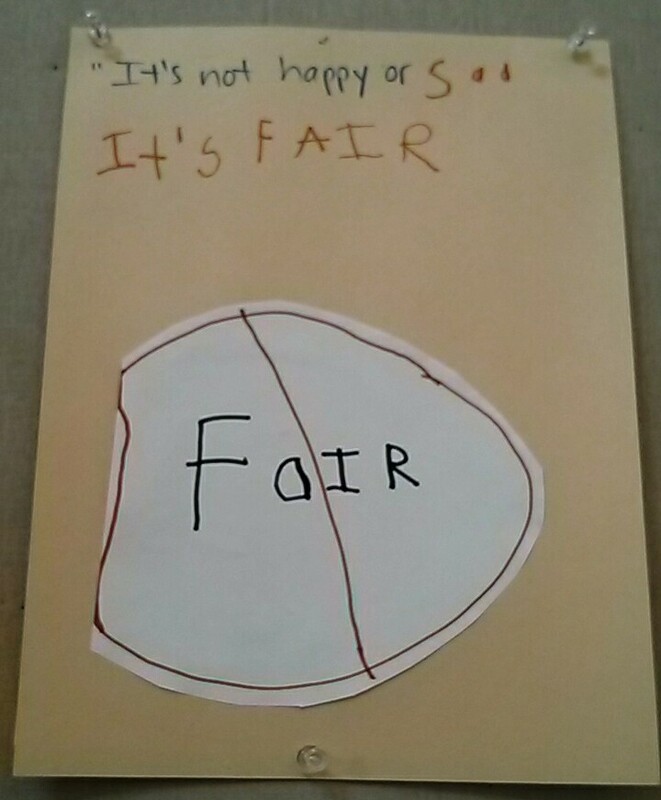 Otherwise, step back and enjoy the good work you’ve done readying the children for creative collaboration. 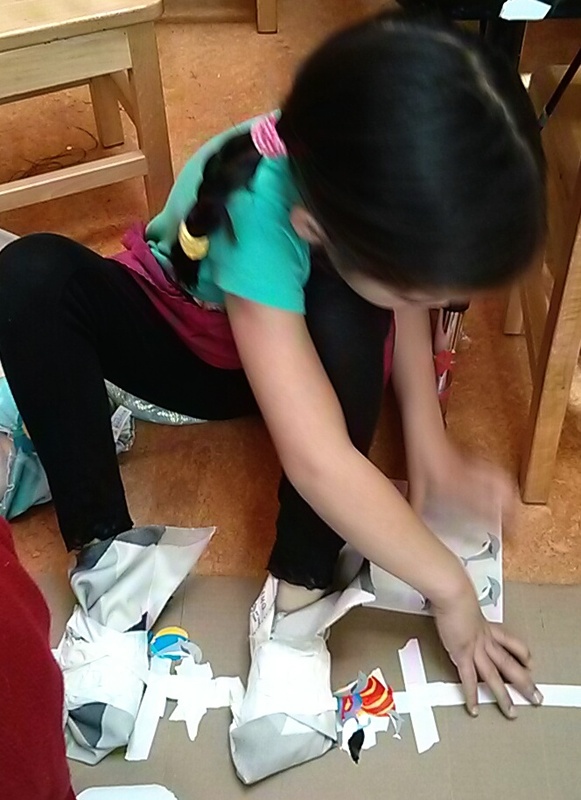 The story-making can continue as long as the children stay engaged. 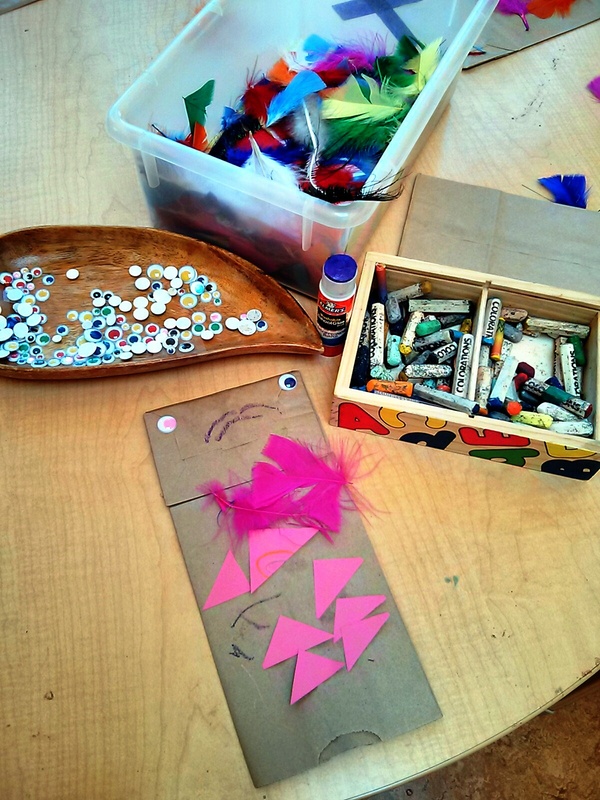 Materials are made available for the children’s use during their play. 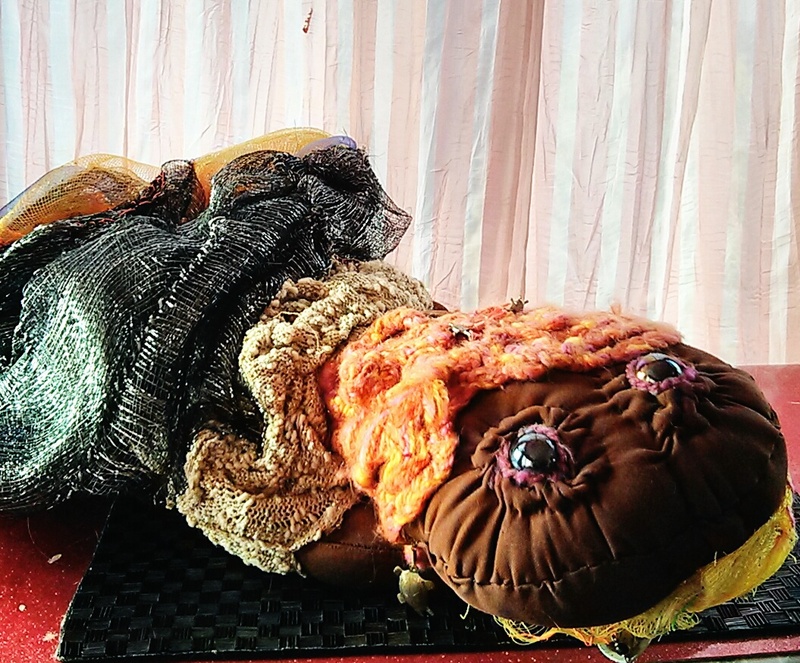 Depending on the puppets used, materials may reflect their environments, food, etc. 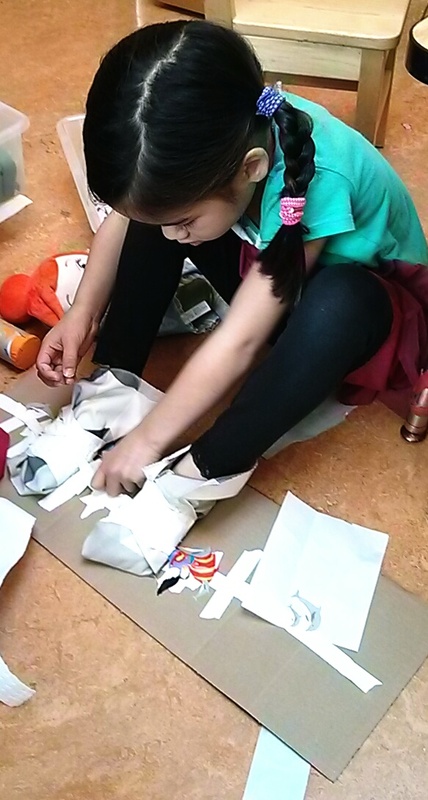 Loose parts for puppet-making can be included, as the children often spontaneously create more puppets during or after their play. 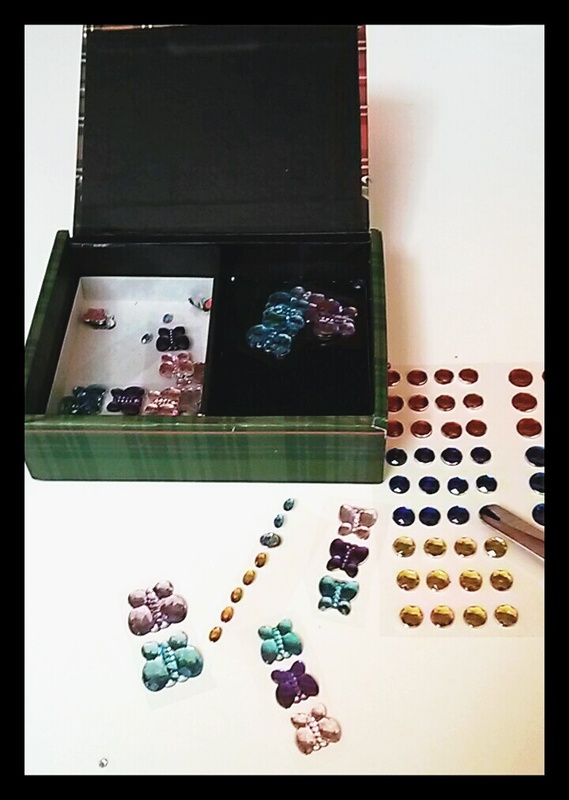 Some examples of materials: Small paper bags, colored feathers, self-adhesive eyes, glue sticks, colored paper, colored Popsicle sticks, colored masking tape, yarn, string, shiny pipe cleaners and any other loose parts you have or can gather. Next time you take out the materials, they may go back to the same story or create a new one, with more of what is meaningful to them disclosed. 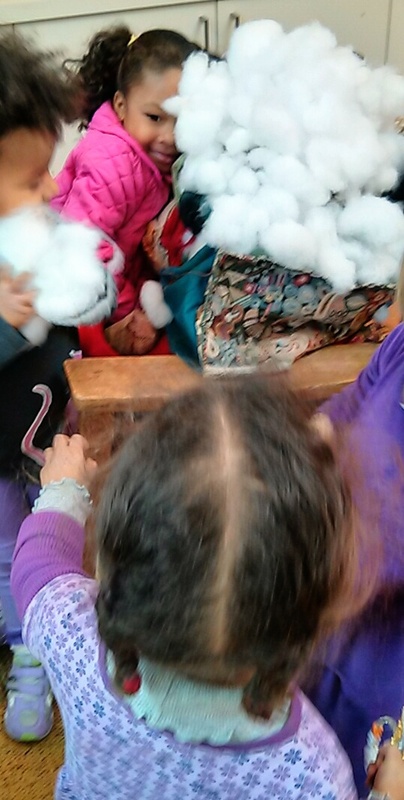 Witnessing the children’s exploration with puppets is so joyful. No wonder I am beginning my 28th year of learning with them. Here we are, back to school! You’ve likely prepared in many ways to create a comfortable atmosphere for the children new to your classroom. 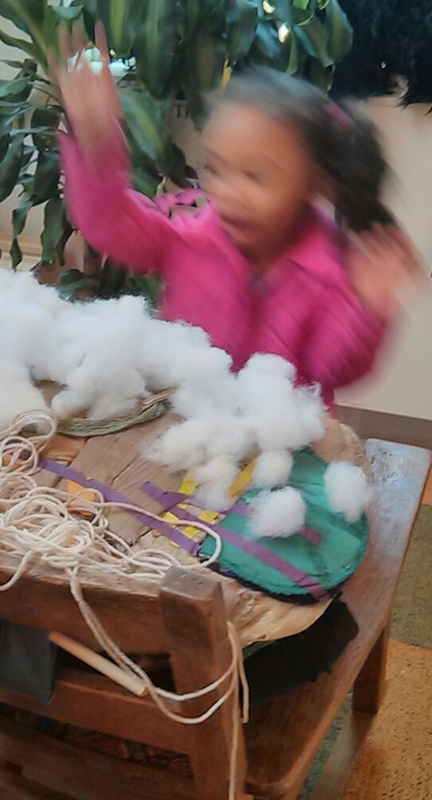 You may already use puppets to bridge the gap into the children’s world and help welcome them. If you don’t, this topic is especially for you. 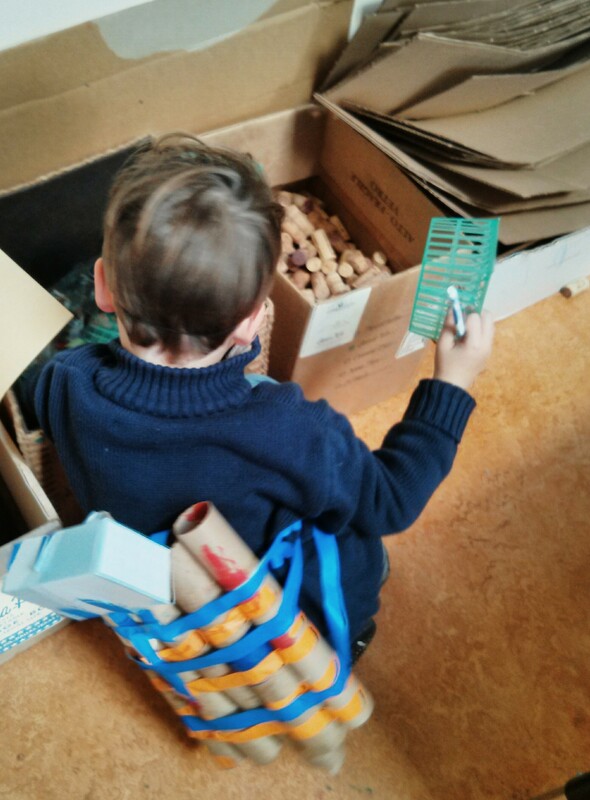 Working with young children, you are already masters of improvisation. 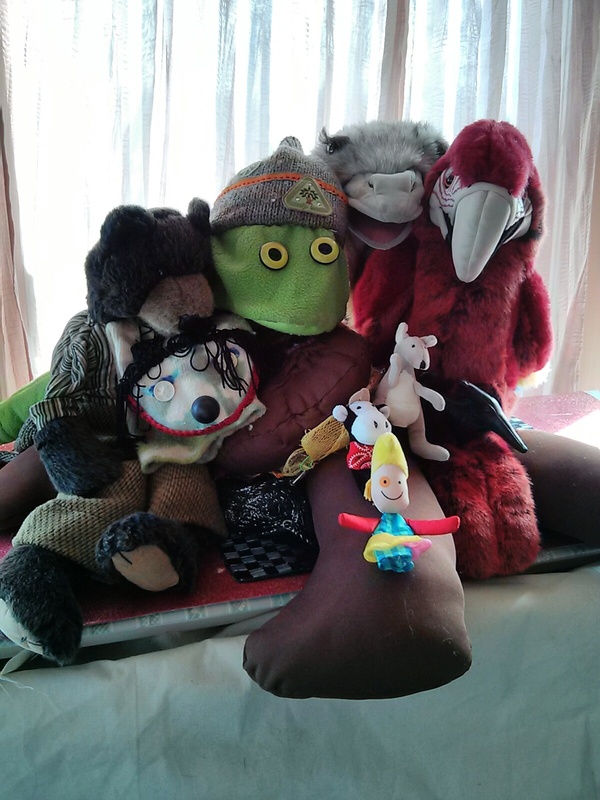 Working with puppets can be a natural extension of what you do every day. Some of us are natural animators. 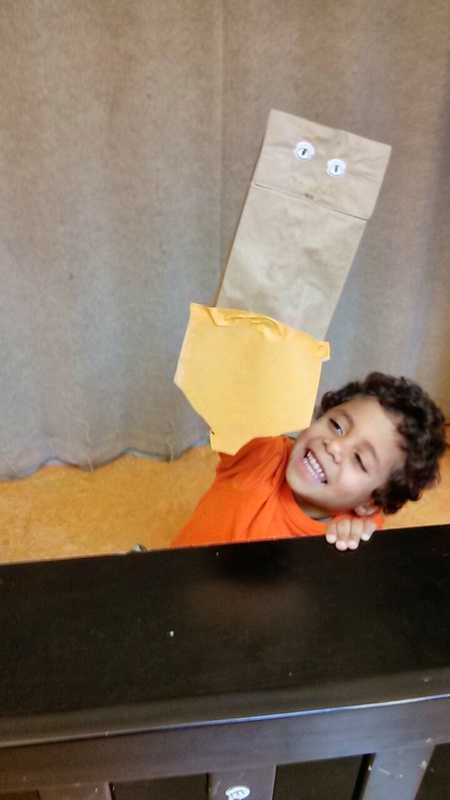 We can pick up a sock, a stuffed animal, or a piece of cheese and give it a voice and movement. At the other end of the scale are those of us who are intimidated by using puppets in our classrooms or homes. We may feel self-conscious or simply think it is out of our skill range. But, if there’s even a spark of desire to use puppets, it’s worth navigating the process of getting comfortable with using them. The concepts and practices I’m sharing were developed for a class at San Francisco State University. 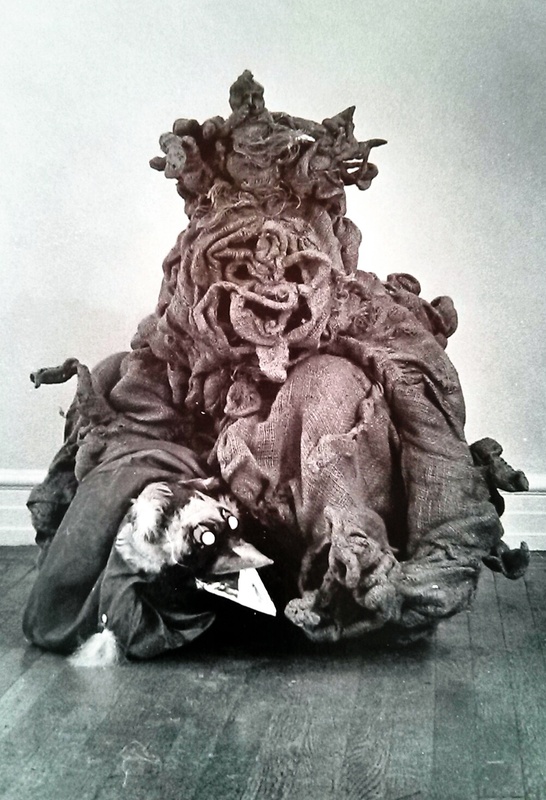 At the time, I was performing with life-sized woven puppets, including one called Ms. Tree. She was a scary and very unusual looking tree (birds were afraid to nest in her branches). Before engaging in collaborative puppet play with children, let’s prepare ourselves with solo adult play. Start by choosing a puppet that you are attracted to. Your home or classroom likely offers many choices. There are many inexpensive and expressive ones that you can purchase. 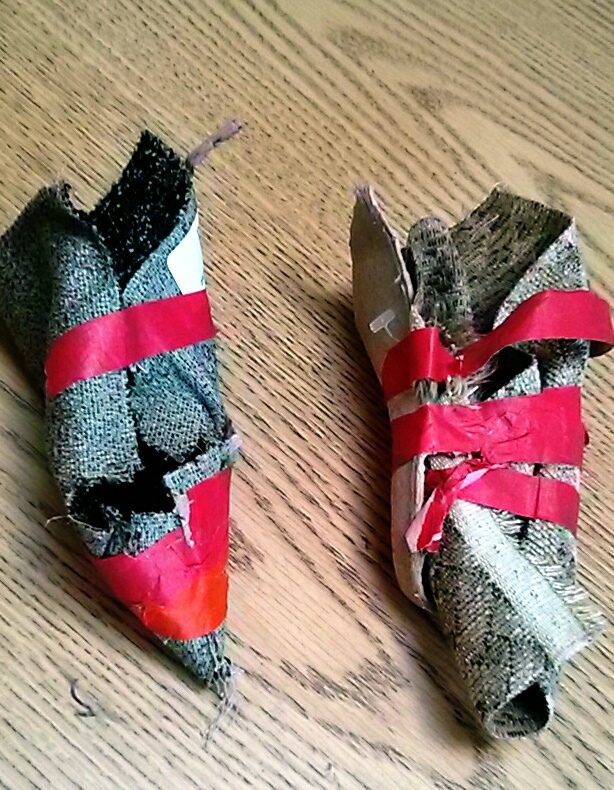 You can also make one of your own from socks, material scraps, or found/recycled materials. Before engaging with the children, you will need to get comfortable with your puppet. Start by noticing your own levels of comfort or discomfort as you get ready to play with your puppet. 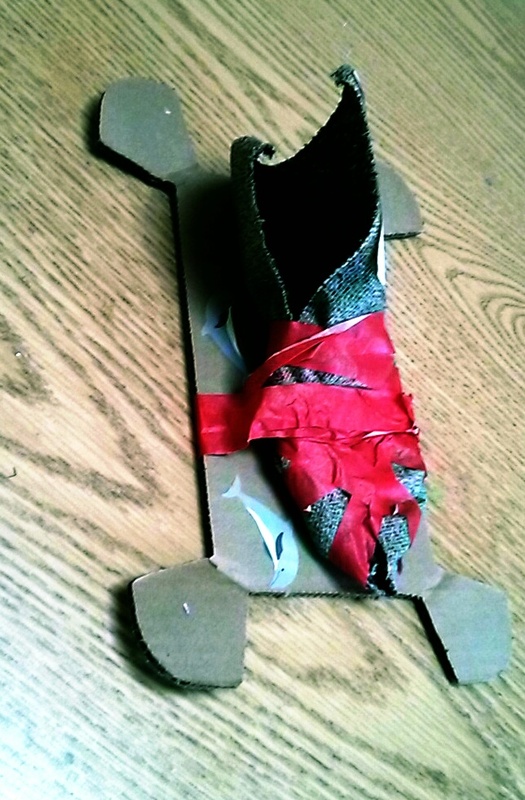 If puppetry is a new tool, you will gain valuable insight into what we ask children to do day after day. Our own experience deepens our understanding of what children may experience. It’s certainly helped me gain greater compassion for their resilience and willingness for ongoing learning. 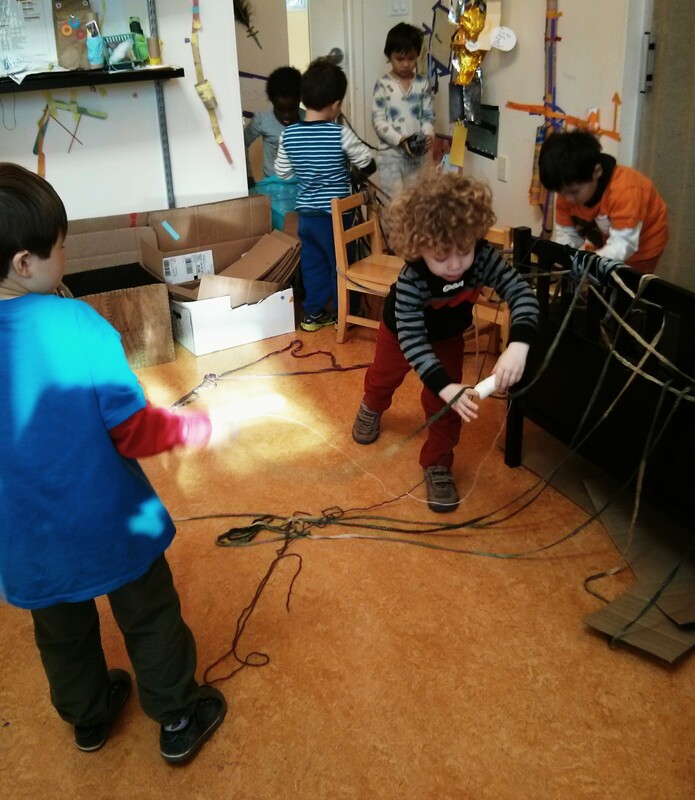 Our adult play becomes a bridge to the child’s world. An additional benefit of naming and navigating our emotions is that it becomes an avenue of developing the puppets character. Remember dancing endlessly in front of your adolescent mirror before going out on the dance floor? Practice at home. When most uncomfortable, I think of all the things we ask children to do that they’ve never done before. 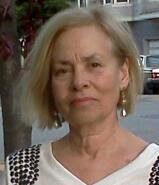 It also gives me insight into the many ways we can respond to something new. And then I practice until the awkwardness diminishes. There is a range of movement that will be unique to each puppet. Play with it; see what is possible. Does it have a full body that is capable of varied movement you can explore? Or are there only a few parts of the puppet that are moveable? Does it have a mouth that opens when you speak? Or will you have to demonstrate who is talking by some gesture or slight movement when it interacts with another puppet? Explore and find a voice you can sustain without strain. I’ve discovered some varied and interesting voices through trying on different ones, but some chatty puppets cause my voice to strain. You want to enjoy this and create as much ease as possible. Once you find a voice that fits your vocal range, you can strengthen it by having the puppet become a “tour guide.” Move through your home, having it point out things of interest. You can have it tell stories of where items came from. Using memories or future plans, let your puppet speak aloud. It may seem awkward at first, but it is all part of gaining a certain level of comfort before you leap into working with children. If we are willing to lean into either our discomfort or our sense of fun and curiosity, we will discover everything we need to enliven our puppets. How would your puppet move if frustrated, angry, sad, insecure or excited? Use the feelings you notice in yourself to give life to the puppet. The feelings we embody are also expressed through behavior we’ve observed from the children themselves. The puppets become relatable to the children when you enliven them in this way. Once you are comfortable, you’re ready to have your puppet interact with children. 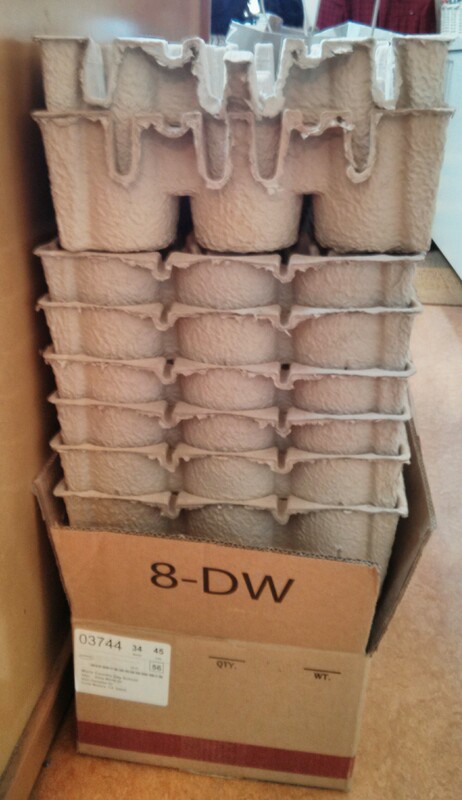 You might want to start with one or two children. It could be your own, your neighbor’s, young relatives or any of the children new to your classroom. Have the children interview the puppet. In the process you’ll continue to develop its character. You can pretend the puppet is a new student at school. It can be the puppet’s first day as well. Have it express the myriad of feelings a child may have from withdrawal to elation. With a withdrawn child, you can have the puppet ask for help. 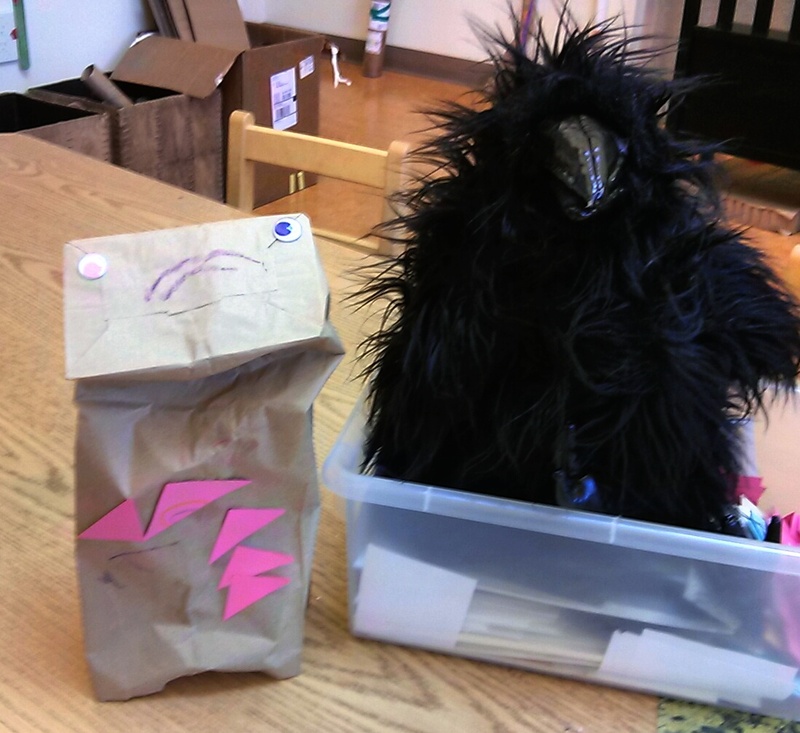 “What makes you feel better when feeling shy or uncertain?” The puppet may have to supply the answers, asking whether holding a stuffy, sitting on a lap, drawing a picture or writing a letter home to parents helps. In the process of the interview, you will learn much about what makes that child more comfortable. 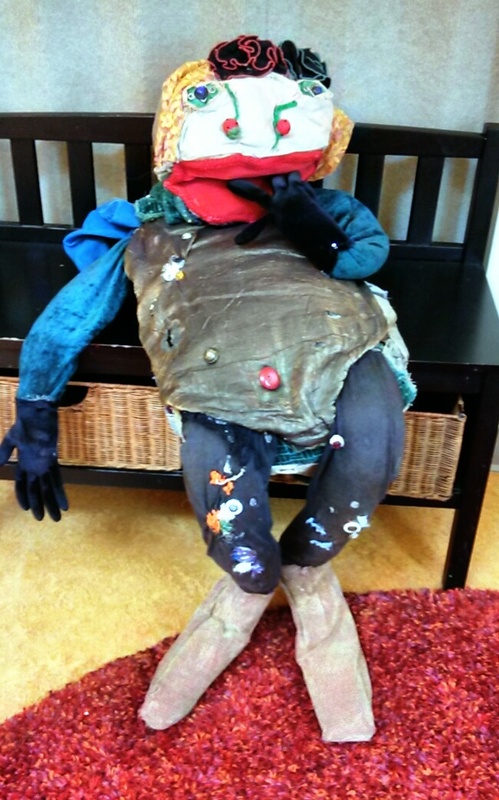 Have the children ask something they’d like to know about the puppet when it was their age. There are no incorrect answers. You might want to use your own childhood or those of your children. I often use this exercise for the first day of school and many of the days that follow. 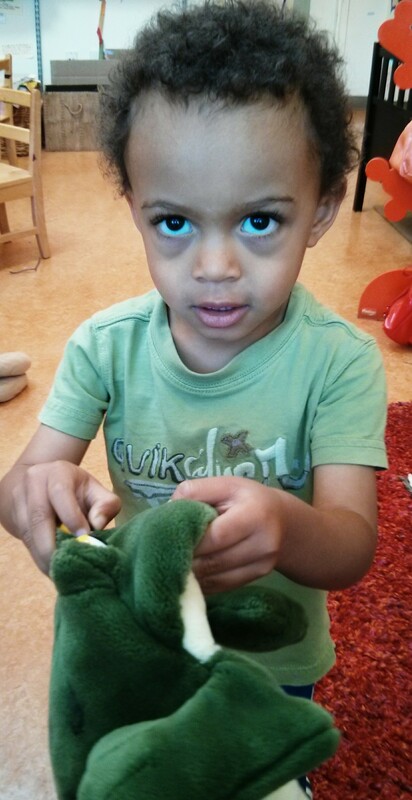 Children will often talk to puppets with more ease and confidence than they might an adult new to their life. They are more open and willing to share their thoughts and feelings. 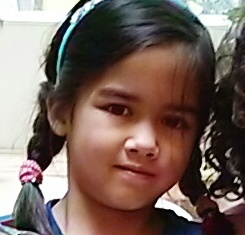 A puppet is a “door” into a child’s world. The more you practice and play with your puppet and children, the more you’ll learn about it. As you build its character, it takes on a life of its own. At times, I am convinced that I’m simply standing back and watching. I often have to stop myself from laughing aloud at the unplanned antics. Each of us has a reservoir of creativity within. We also have a storehouse of behaviors that we’ve observed in our children. Some of us will intentionally emulate the children and some of us will intuitively call forth movement, gestures and often the children’s own words. In the process of playing with puppets and children, you may find great enjoyment, fun and possibly a new passion! Resource: Jacobs, Elyse. “Puppet Play Explores Feelings and Emotions,” Scholastic Pre-K Today, 1989.